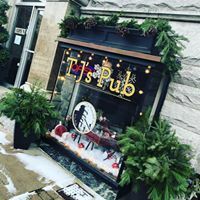 TJ’s Pub, located at the Ramsdell Inn, is a Manistee restaurant. Take a step down from the sloped sidewalk for panini, Mex and pizza. Facebook is here. Menu here.